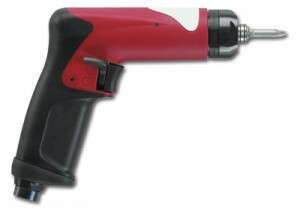 Businesses across a wide range of industries consistently choose to utilize Desoutter power tools because of their extreme durability and effectiveness even in the most critical applications. And with the company’s long history of producing high-quality tools, it’s easy to understand why Desoutter has become the tool manufacturer of choice for a wide range of manufacturing and assembly processes. 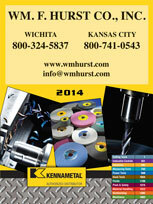 If your business is in Kansas City, Wichita, Dallas, Fort Worth, or a nearby city and you want to purchase Desoutter power tools, then turn to Wm. F. Hurst Co., LLC. We have supplied industrial supplies to businesses throughout the Midwest for more than a half century, and we’ve become the distributor of choice for many businesses in the area because of our unmatched selection of products and our exceptional customer support. When you choose to deal with Wm. F. Hurst, you not only can expect to find the tools you need to maintain high levels of productivity at your business, but you can also count on our expert sales associates to help you identify equipment that can help you improve processes within your operation. For more information on the Desoutter power tools we have available for businesses in Kansas City, Wichita, Dallas, Fort Worth, Sedalia, Joplin, and other cities throughout the Midwest, please contact Wm. F. Hurst today. In addition to Desoutter tools, we offer industrial tools from top-rated manufacturers like Dotco, Cleco, Bosch, and Kennametal, as well as abrasives, metalworking fluids, and other industrial supplies.